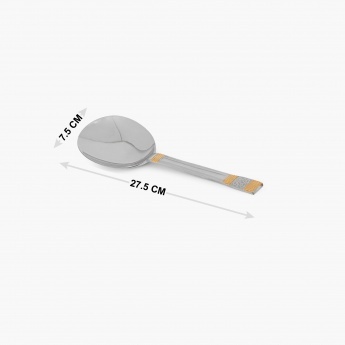 Glister Royal Meadow Rice Serving Spoon - Set Of 2 Pcs. 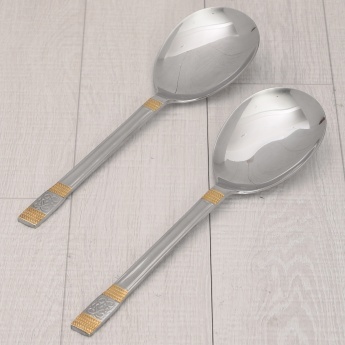 HOME CENTRE expertly blends modern functionality with timeless elegance for a cutlery range crafted to have an ergonomic feel to it, ensuring a perfectly harmonious handling! 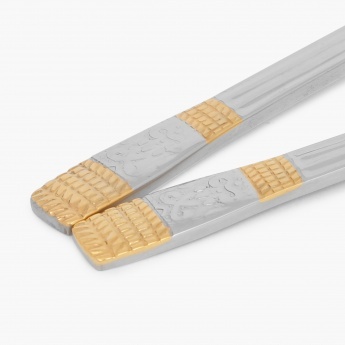 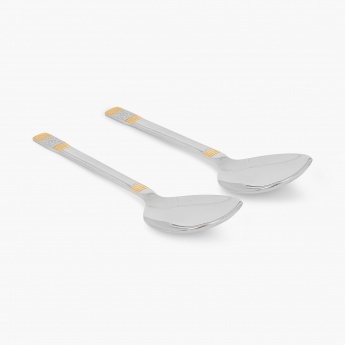 These rice serving spoons feature a distinct gold tailoring with carefully rounded edges for a pleasant touch. 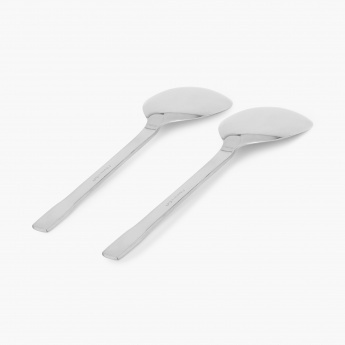 Durable and long lasting, they are also dishwasher safe.